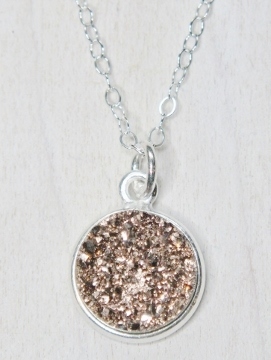 Simple…dainty…sparkly…this necklace says it all! 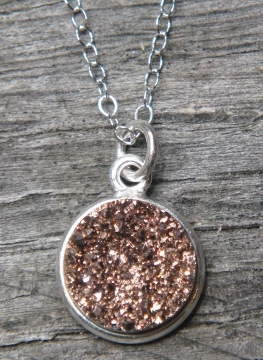 This shimmering rose gold/copper color round bezel druzy is suspended form a fine 14k gold filled chain just perfect for layering! Care instructions: Titanium coated druzy jewelry should not be worn in the shower, pool, or the ocean. It can fade the gold finish more quickly.